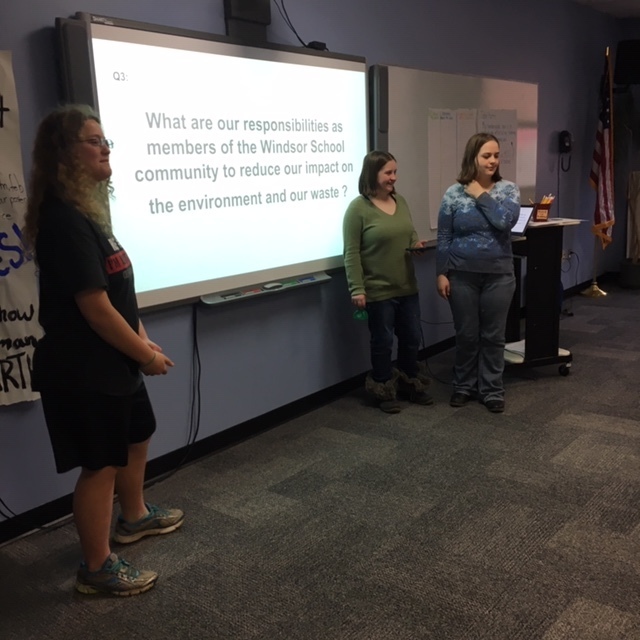 A group of youth leaders at WHS has been engaging in meaningful dialogue with faculty and community members around the need for change in the way the school addresses recycling and reduction of waste. Michelle Townsend, Jasmine Martens, Serene Martens and Gwen Schillenger are members of the Windsor Partnership for Innovation and Change (WHPIC). The group has attended a variety of youth leadership conferences that emphasize the importance of meaningful dialogue between youth and adults. The WHPIC team is interested in seeing improvements in the current recycling and composting system at school. As a result, they interviewed numerous members of the community who share a common interest at the local and state level. The team also analyzed data on the quantity of trash produced at WHS that was gathered during an event last spring called Trash on the Lawn. The data showed that 287 lbs of trash is produced every day at Windsor School, a statistic the team feels is way too high. 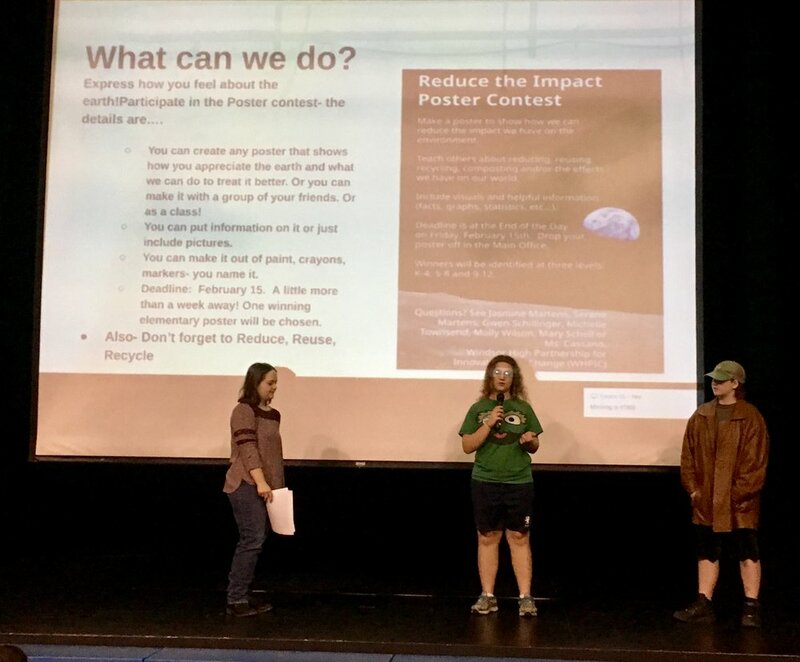 The WHPIC Team also presented the data and information about the poster challenge to K-4 students at one of their weekly Wednesday assemblies.